This reminds me, I need to make another order for some new lashes soon! 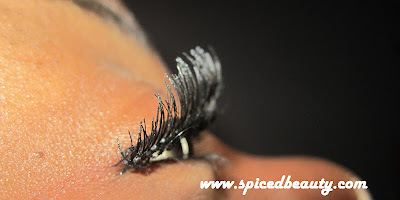 - I have long lashes BUT I really wish I could apply falsies, just because ! OO that is a very neat picture! I wish my real lashes looked like that too! I know what you mean, I don't have long eye lashes either. I have been looking at Red Cherry lashes for the longest but never brought any. Which ones are your favorites?